Ghosn will remain Renault-Nissan alliance chairman, Les Echos says. PARIS -- Renault is preparing to name a successor to CEO Carlos Ghosn as early as February, according to a French newspaper report. A committee has been interviewing candidates for the post this year, Les Echos reported, citing sources close to the company’s leadership. A new chief executive will be named around the time Renault releases its 2017 results on Feb. 16, the paper said. Renault shareholders will vote on the choice at the annual meeting in June. Ghosn is expected to continue to lead the overall Renault-Nissan-Mitsubishi alliance, a separate business entity that is registered in the Netherlands, the report said. Ghosn has been chief executive of Renault since 2005, and he will be 64 when his current contract ends in May 2018. He started his career at Renault in 1996, and rose to prominence by overseeing the rescue of Nissan in 1999 after Renault took a controlling stake in the ailing company. Last February he stepped down as CEO of Nissan, but he retained his position as chairman of the board, a position he also holds at Mitsubishi and Renault. Renault favors an internal candidate for Ghosn's post, Les Echos said. An outside candidate would have to be "exceptional," a source told the paper. Among the candidates that have been mentioned as Ghosn's possible successors are Thierry Bollore, Renault’s chief competitiveness officer; Stefan Mueller, chief performance officer; and Thierry Koskas, the head of marketing and sales. Another possibility is Jose Munoz, Nissan's global chief performance officer, who this week stepped down from his position as head of Nissan North America in favor of Denis Le Vot, head of Eurasia operations at Renault, a region that includes Russia. Le Vot will report to Munoz in his new post. The automaker could consider former Renault executives who have left the automaker but the leading candidates may be too old, Les Echos said, citing a source familiar with the discussions. Didier Leroy, current number two at Toyota, is 60; Carlos Tavares, now CEO of PSA Group is 59; and Patrick Pelata, Ghosn's one-time No. 2 is 62. Reuters reported in June that Ghosn was recruiting an operational second-in-command for the alliance in a move designed to prepare his own succession and advance alliance integration. Les Echos said the next CEO of Renault would need to have the support of the French government, which last month sold 5 percent of its holdings in the automaker. It now has 15 percent of shares. 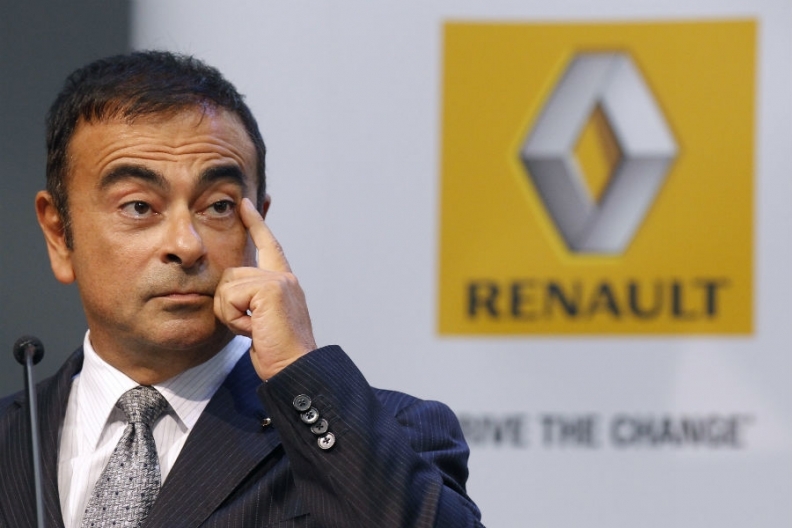 Ghosn would handing over leadership duties at Renault at a high point. The alliance is likely to finish 2017 as the world's largest automotive group by vehicle sales for the first time, with sales of over 10 million vehicles. Renault reported record sales and profits this year, helped by rebounds in Russia and Brazil. The Renault Group includes the Renault brand, budget brand Dacia and AvtoVAZ, which builds Lada cars. In October, Ghosn presented Renault’s new midterm strategic plan, called Drive the Future. It targets annual group revenues of 70 billion euros, a 40 percent increase over 2016, and an operating profit of 7 percent. Sales volume is to increase by 40 percent to 5 million, with 60 percent of sales coming from international markets. Renault has become a leader in electric vehicles under Ghosn, who invested heavily in the technology long before other automakers, although sales have not lived up to his predictions. Under the plan, 20 percent of the group's models will be electric, and 50 percent of models will be electrified, including plug-in hybrids and 48-volt mild hybrids. A Renault spokeswoman said the company would not comment on the Les Echos report.